Placenta accreta comprises a spectrum of disorders where all or part of the placenta becomes attached to the muscular wall of the uterus, which can result in life-threatening hemorrhage at the time of delivery. 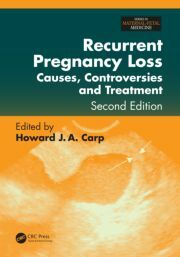 Previous surgical procedures (including cesarean delivery) and placenta previa are important risk factors, and the incidence is dramatically increasing. 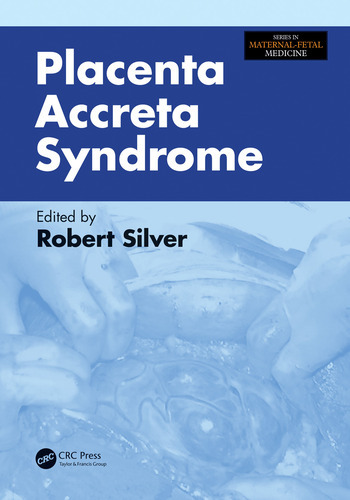 This important practical guide to how clinicians should diagnose and manage placenta accreta will be an invaluable reference for all obstetricians and maternal-fetal specialists. Robert M. Silver, M.D., is Co-Director of Labor and Delivery, Chief of the Division of Maternal-Fetal Medicine, Interim Chair, Department of Obstetrics/Gynecology at the University of Utah Health Sciences Center, Salt Lake City, Utah.